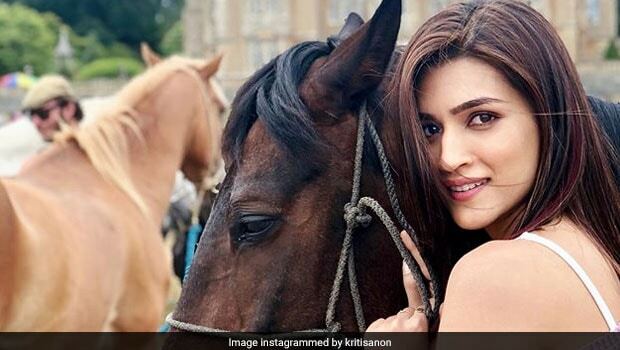 Bollywood actor Kriti Sanon has a number of good projects in her kitty and her fans are excited about the multi-starrer 'Panipat', which also stars Sanjay Dutt and Arjun Kapoor in leading roles. Apart from that, Sanon will also be seen opposite Kartik Aaryan in 'Luka Chhupi' and alongside Akshay Kumar and Bobby Deol in 'Housefull 4'. So, we'd say the model and actor has her hands quite full with work right now. She was recently in Gwalior, Madhya Pradesh for the shoot of 'Lukka Chhupi' and posted a number of pictures from on her Instagram page. The beauty is a fitness and style icon for millions of Indians around the world, but did you know that the slim actor is also a food enthusiast? Well, a look on her Instagram page will convince you that Kriti Sanon is a true-blue foodie. So, while she indulges her gluttony quite often, she also makes sure she eats healthy the rest of the time. 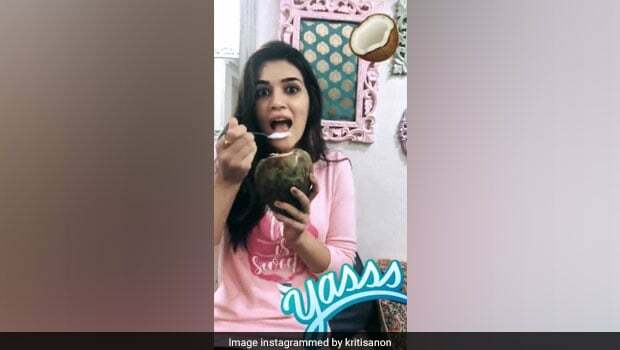 Kriti Sanon recently posted a video of herself eating tender coconut meat on her Instagram stories. Known as 'malai' in India, the meat of green coconuts is a nutritious superfood that people often skip out on. This is because of the high calorie-count of coconut meat. 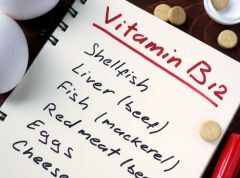 But, if you're watching your weight and keeping yourself away from this food, then you may be mistaken. Also Read: Shilpa Shetty Shows Us How To Upgrade Plain Coconut Water This Summer! Tender coconut meat has 354 calories in a 100-gm portion, as per the data by the United States Department of Agriculture (USDA). However, these aren't just empty calories. Tender coconut has a number of benefits that are too amazing to let go of. The fatty coconut meat may help improve your skin quality and the fibre in it ensures that you remain full for longer. The high-fibre content of coconut meat keeps you full for longer and keeps your blood sugar and blood pressure under control. 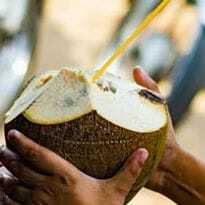 So, while eating too much of coconut meat may not be a good idea, eating it occasionally may help you improve your health, rather than hampering it. We guess these are reasons enough to not hate the 'malai' in your coconut. No wonder this food has found favour with the lovely Kriti Sanon!